Have you just launched a startup? This is wonderful news….to you and your family and friends. Here’s the thing: no one outside of your co-founders and family and friends know about your startup. You need to change that, of course, and fast. So here are some ideas for marketing your startup. 1) Your primary goal as a startup? Create goals! What do you want your startup marketing to accomplish for you? Do you want to attract investors? Increase sales in order to make your company even more attractive to investors? (Or simply because…well, you’re a business and you want to make some money!) Build your startup’s brand? 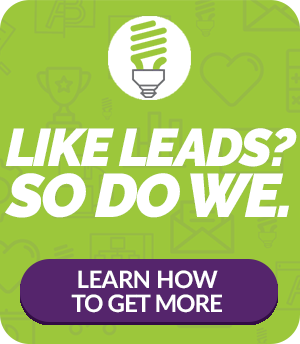 Get more online leads? All are worthwhile goals. But you’re more than likely marketing on a budget, so pick one or two and focus only on them in the beginning. 2) You’re going to need a website. Yes, you can spend thousands upon thousands of dollars creating a fantastic-looking, whiz-bang website that does everything but reach out, grab your prospect’s hand and make him push the buy button! But…you’re marketing on a budget, so all you really need at this point is a simple and effective website. Truly. That’s it: a simple and effective website, with the main emphasis on effective. A clear explanation of what your startup does and/or what you sell. You also need to explain how you’re better than your competitors and – most importantly – how your service/widget solves your prospects’ problem. SEO optimization so that your target market will find you online. Discover the keywords your perfect prospects use and make sure to add them in your site’s content (pages and blog posts) and in page titles. Clear calls to action (CTAs) that let people know what you want them to do, such as download a free ebook, fill out a form, and so on. Site analytics so that you can track progress and find what works and what needs changing. Marketing today is all about relationships, and a great way to build relationships with your prospects is through email as you send links to your startups blog posts and other information of interest to your potential customers. We recommend MailChimp.com as a tool to collect and manage your email lists. Add this feature to your website and make sure to encourage people to join your list, either in person (at conferences, for example) and on your site (offer a free report or ebook in exchange for their address). As you grow your list you may want to send out a monthly or quarterly email blast (you can offer links to your site’s blog posts, for example) and otherwise let your audience know what your company is up to, how it’s growing and how you can help them. 4) Promote your social posts. With all the changes to Facebook’s algorithm lately it’s becoming more and more difficult to get your organic posts in front of your followers. Today, there is no better – and faster – way to get the attention than by promoting (advertising) your social posts. When it comes to social media for startups, we recommend starting an advertising program on Facebook and Instagram. LinkedIn also is effective, but more expensive. Social post promotion helps you gain attention, build brand awareness and – one hopes – get some clicks and downloads from your website. 5) Blog, blog, and blog some more! When it comes to marketing on a budget, blogging is a great tactic. Yes, it takes time, but it has no outside costs (other than your brain power and a few hours writing) and you can control it completely. What’s more, blogging helps you become a thought leader in your sector and helps keep your startup in the front of your target audience’s minds. Blogging also helps with SEO and can be promoted on social media, helping to drive more traffic to your business. Of course, you may not want to do all the startup marketing yourself. Which is why having a startup marketing agency partner is a great way to go. Ingenex Digital Marketing has been working with startups since 2006, helping them grow their business with considerable success. Learn more about how our startup marketing agency can help your new business. If you have any additional questions, contact us anytime.